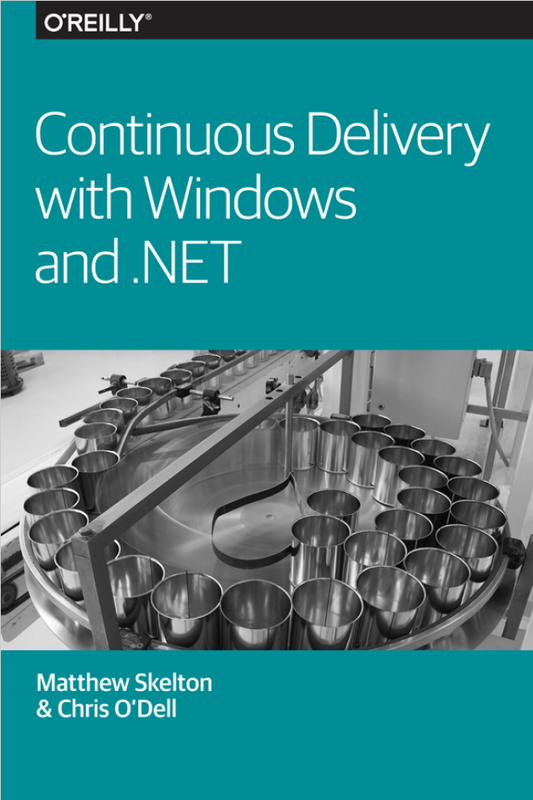 This is the ‘website of the book’ for Continuous Delivery with Windows and .NET by Matthew Skelton and Chris O’Dell, published by O’Reilly. Chris O’Dell has developed software with Microsoft technologies for over 10 years. Between 2012 and 2014, she led the API team at 7digital, a leading provider of music streaming services worldwide; she currently works on the platform engineering team at JUST EAT in London. In all of her roles she has promoted practices we now know as Continuous Delivery, including TDD, version control, and Continuous Integration. Chris is a contributor to the book Build Quality In. Matthew Skelton has been developing software on Microsoft Windows since 1998, and has consistently pushed quality and repeatability (version control, testability, logging for traceability, etc.) within every company he has worked at. Between 2011 and 2014, he was Build and Deployment Architect at Trainline, the UK’s busiest travel booking site, where he led the transition from manual deployments to per-team deployment pipelines for Continuous Delivery. Matthew is Founder at Conflux, co-founder at Skelton Thatcher Publications and co-editor of (and a contributor to) the book Build Quality In.